Agriculture Works Here. Nobody beats the American farmer when it comes to producing food. Today, the average U.S farmer feeds 155 people—growing twice as much food as the generation before and using less land, energy and water to do so. American farmers are so productive, our nation exports more food than any other, and so efficient, consumers in the u.s. spend less on food than people anywhere else in the world*—a remarkable accomplishment considering that farmers represent less than 2% of our population. 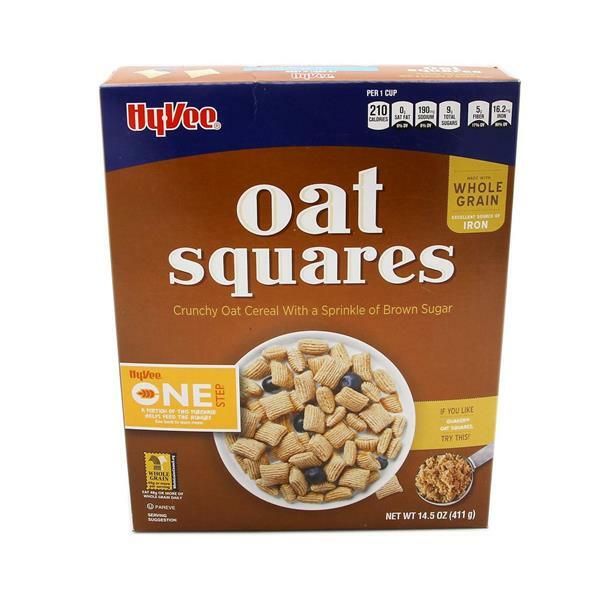 So, enjoy your Hy-Vee oat squares and give a little "spoon salute" to those who helped produce it: the American farmer. Whole Grain Stamp: 16g or more per serving. 4/$8 select Gen Mills items, must buy 4. Price reduced after checkout if delivered or p/u by 4/23.